Product Details-Combines real wood with synthetic strength.Natural wood smell attracts and keeps dogs interest for hours, Use - Great for dogs that love to chew, Materials -Non-toxic, floats, Suitable - Medium Breeds Dogs. 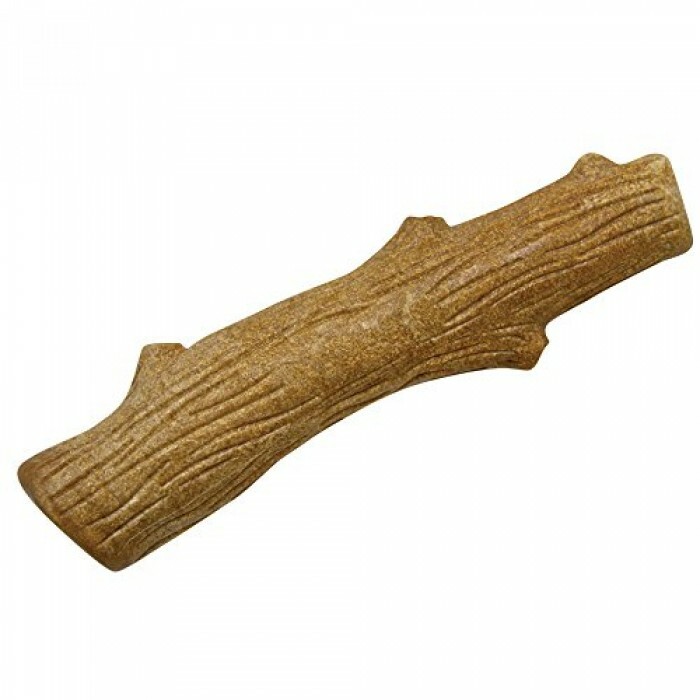 Product Information-Whats better than giving your dog a stick to play with Its the Petstages Dogwood Stick. Your dog is definitely going to love this safe durable stick.Dogwood by Petstages is your chewing pups fantasy Your pooch will spend hours safely chewing and chomping away on this durable, tough toy. Made with real wood, the natural smell of Dogwood has an appeal that other chew toys just cant match. Keep your best friend safely occupied for hours with Dogwood by Petstages.